PETALUMA, CALIFORNIA, June 1, 2016 – When it comes to home automation systems, the entertainment features are often the highlight to many homeowners and their families. That’s why, when building a new residence on Mt. Helix in Southern California, one homeowner turned to Zack Paradise, founder of Paradise InfoTech, for his audio and control expertise. 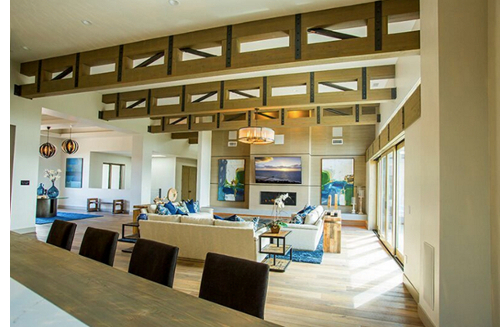 Paradise had previously designed and installed systems in the homeowner’s two vacation homes, so when he said, “big audio”, Paradise knew that Sunfire subwoofers would offer a boost to an already robust SpeakerCraft sound system. What started as a few subwoofers in the home’s main areas and bedrooms turned into Sunfire subs to supplement almost every area of the SpeakerCraft sound system. In total, 12 Sunfire HRS-IW8 subwoofers were installed with 56 SpeakerCraft AIM272 in-ceiling speakers to create 20 zones of audio. All of these zones are enhanced by the Sunfire in-wall subs. In the game room area, there are five AIM272s in the family room; an additional two over the bar area; and two more over the pool table. On the back patio, there are eight AIM 272s in the ceiling; two on the master patio; and two on the living room patio. The system offers 15 zones of video, including an Atmos theater where four additional SpeakerCraft AIM 272s were installed for the height channel being driven by a Marantz AV7702 Preamp/Processor. For the video components, Paradise installed a 120-inch Dragonfly acoustically transparent screen and an Epson LS10000 Laser projector. Outside of entertainment, Paradise installed 100 Pulseworx lighting loads and multiple cameras inside the residence and throughout the property. For convenience, when someone arrives at the home’s front gate, the bell rings throughout the home’s superior audio system, alerting the homeowner of the visitor. The owner can see and speak to the guest through ELAN Intercom, then unlock the gate if he would like to grant access to the property. Additionally, since the homeowner has ELAN installed in his other two vacation properties, he can view, monitor and control each home through one App on his iPhone, iPad or in-wall touchpanels. 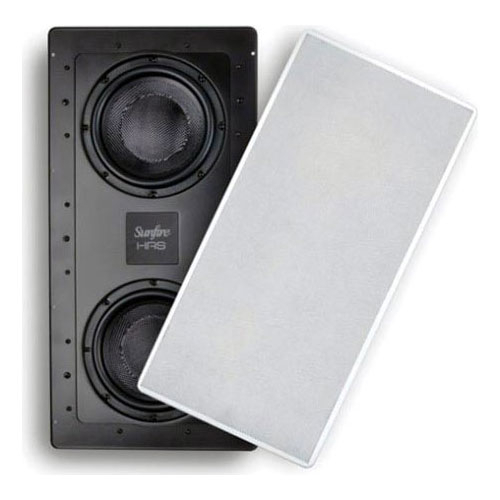 Sunfire® is a brand of Core Brands, combining unconventional thinking with precision engineering to create innovative home theater products delivering audiophile performance, including the smallest and most powerful subwoofers anywhere. Headquartered in Petaluma, California, Core Brands combines the product and marketing strengths of iconic and award-winning control, audio, power management and video distribution brands including ELAN®, SpeakerCraft®, Gefen®, Niles®, Panamax®, Proficient®, Furman®, Sunfire®, BlueBolt® and Xantech® to deliver a portfolio of connected home solutions to its channel partners and end users. For further information, visit www.corebrands.com.